This Sea Holly is the improved form. 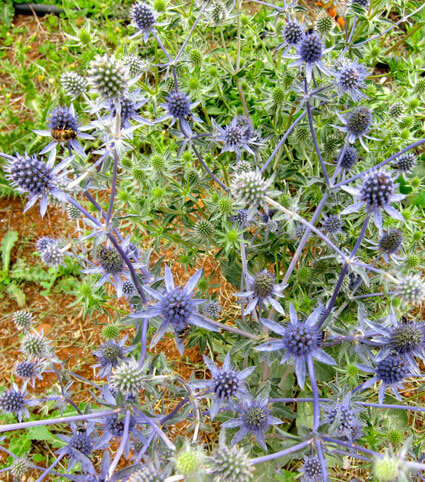 Mid-blue thistle like flowers, born in umbels above the shiny green foliage. Each umbel holds between 50 - 100 flowers. Flowers last 1 - 2 months. A great cut flower. We have had plants flower for the second time as late as April. Frost tolerant & drought hardy. Full Sun/Part Shade.